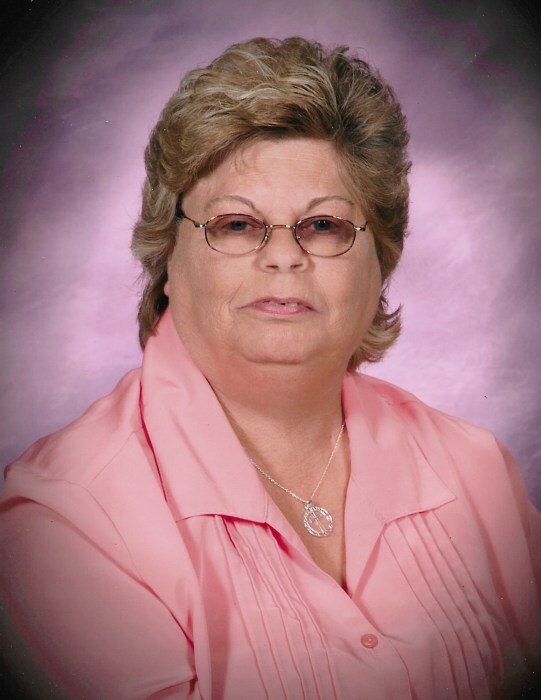 Linda Mae Cronk, 68 years, of Montpelier, passed away Tuesday, January 22, 2019 at Community Health Professionals Inpatient Hospice Center, Defiance. Linda was born June 6, 1950 in Harrison, Michigan, the daughter of the late George Lester and Dorothea Irene (Kelley) Lockhart. She married Theodore A. Cronk on February 6, 1971, and he survives. Linda was a devoted homemaker, caring for the needs of her family. She was a member of the Bryan Eagles Aerie 2233 and the VFW Post 9543, Rogersville, Tennessee. Surviving are her three children, Barbara Jo (Kelly) Branstetter of Hardyville, Kentucky, Carrie Lynn May of Montpelier and Theodora Jean (Matthew) Smith of Bryan; nine grandchildren, Travis Branstetter, Brandon Branstetter, Christina (Tyler) England, Alyssa Spangler, Franklin Bowman, Alexis May, Gabrielle Lusk, Jacob Howard and Bentley May; one great-granddaughter, Gracelynn Hoffman. She was preceded in death by her parents and two sisters, Nancy Joan Fuqua and Barbara Jean Lockhart. Visitation for Linda Mae Cronk will be held Friday, January 25, 2019 from 2:00 – 4:00 and 6:00 – 8:00 p.m. in the Oberlin-Turnbull Funeral Home, Lynn Street Chapel, 206 North Lynn Street, Bryan where her funeral service will begin at 10:30 a.m. Saturday with Pastor Kevin Doseck officiating. Interment will follow in Shiffler Cemetery, rural Bryan. In lieu of flowers, the family has requested that those planning an expression of sympathy are asked to consider memorial contributions be made to the family to assist with funeral expenses.